Helen Jones is an abstract artist based in Cornwall. 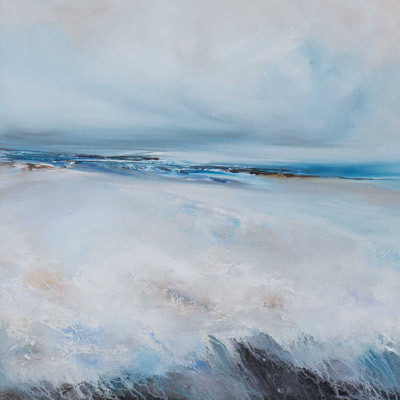 Her paintings are inspired by the wild surroundings of Cornwall, predominantly land and sea. 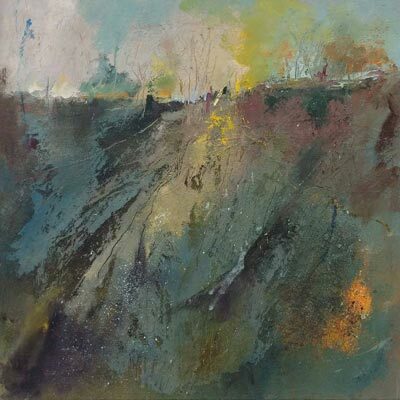 Helen describes her process as follows: “Working with a vague memory of tones and images after walking my dogs, I work quickly intent on capturing the energy and emotion of the day. 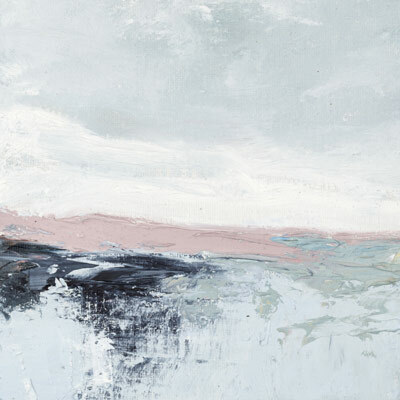 My paintings are a response to the vitality of a moment – its fluidity, the sense of urgency or timelessness. Blustery or calming coastal walks help keep the energy in my work fresh. Some days there is such stillness to the day that the canvases which follow are calmer; but on the other days the energy is so vibrant the palette knife can barely move the oil quickly enough or respond fast enough to give credit to the buoyancy of a given second. My paintings have become like my own visual diary, a response to the beauty of the landscape, the elements and moods to which we consciously and subconsciously respond. 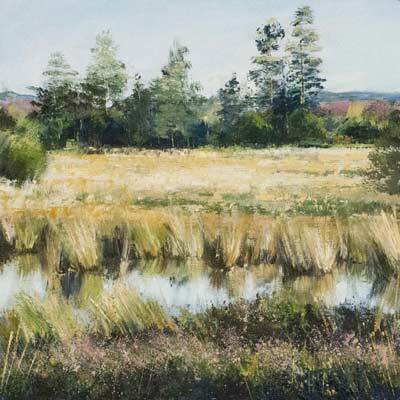 The smaller canvas allows a snap-shot of energy for a given moment – the essence of the landscape and the day’s walk. I try to turn feelings into paintings. Changing skies and reflective seas surge with a captive energy creating a drama that warrants a ʻstillʼ. My paintings are as intuitive as they are contemplative. 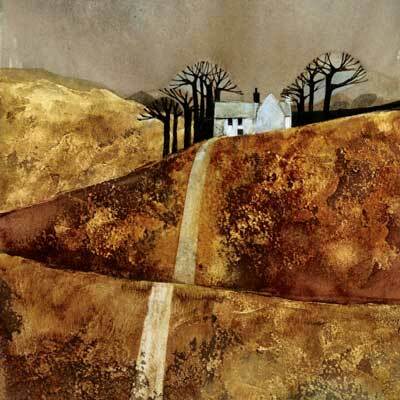 Helen Jones offers a wide variety of sizes and styles available both framed and unframed. For commission enquiries please contact us for further information.